Jollibee Restaurant UAE, last updated on 1 May 2018 , is listed under Filipino Restaurants category. It was added to UAE Directory Rinnoo.net on 12 November 2015 . 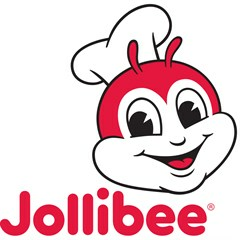 Pages of Jollibee Restaurant UAE on Rinnoo.net have achieved 12,830 views till now. Jollibee is the largest fast food chain in the Philippines, operating a nationwide network of over 750 stores. Jollibee was founded by Tony Tan and his family with its humble beginnings as an Ice Cream Parlor which later grew into an emerging global brand. At the heart of its success is a family-oriented approach to personnel management, making Jollibee one of the most admired employers in the region with an Employer of the Year Award from the Personnel Management Association of the Philippines, Best Employer in the Philippines Award from Hewitt Associated and a Top 20 Employer in Asia citation from the Asian Wall Street Journal.